On July 17, 2175, the world’s greatest scientists, businesspeople, world-class leaders and politicians gather in the Webber Grand Auditorium to attend one of the most exciting events in science and history — a long-awaited moment for those who never fail to believe in the impossible. Those who receive an invitation to attend the event virtually, or regrettably have no way to attend the event physically, wear their virtual suit and headset, switch the power on, log in to the event held in Section 2831-PK87 (or in older years was known as Geneva, Switzerland) and sit down. Blue Charlie is scheduled to make its first public appearance today. Everybody knows what that means: A preamble to a new life, an exciting detour from a race with time, because this world has become harsh and terribly unkind, like a cranky old man who seems to get annoyed at everything. The construction of Blue Charlie dates back years before the establishment of the New World Order. In the old days when the internet was still a thing, precisely in the year 2018, a group of well-endowed minds, super-rich multibillionaires, and admirably far-sighted people of planet Earth worked together and formed a secret society. They would work together on very secretive, highly controversial, very ambitious projects that only those with the best minds or wealth, and determination could take part in. The organization called themselves The Herring Squadron and over the years its popularity increased, despite rumors saying that the admission process is a hundred times harder than getting accepted into the highest level of Mensa Society. Their recruitment processes are impossibly complex, mind-blowingly clever, and yet blissfully rewarding. Among its inherently challenging projects that range from rearranging the countries in the New World Order to creating nutritious pills and capsules to mitigate the world’s global hunger problem, the most challenging and comprehensive project is what they call The Great Exodus: transporting mankind to another habitable planet. It’s not quite an easy task, of course. Humans are not built for interstellar travels, and the light-year distance problem is not something you can solve overnight. And try as you may, there isn’t quite a place like our Earth. But despite the challenges and against all odds, our brave scientists finally succeed in creating a sustainable and malleable world in a planet that have nearly similar characteristics as our good old Earth, improved with a lot of modifications and adjustment. One hundred and fifty-seven years after its first official manifesto was broadcast on the Internet, The Herring Squadron, now the world’s most powerful governing organization and main coordinator of interstellar transportation system and routes, has nearly accomplished its main goal: the first phase of the Great Exodus is scheduled to launch next year, as The Herring Squadron’s Great Exodus team has calculated the best time for everything down to the smallest details to move mankind to their new home. But first things first. The over-eager audience here is impatient to hear what Blue Charlie has to say. Now you may ask, what is this Blue Charlie and what does it have to do with the whole project? A little background information before we continue. Blue Charlie is the product of an equally ambitious sub-project of the Great Exodus. The idea is simple: feed data to the system, run the model, and it will simulate mankind’s life in the new environment and survival rate. From the feedback and the evaluated survival rate the scientists can make appropriate adjustments for the transportation system and the new biosphere. Blue Charlie also allows them to see a glimpse of what life after Planet Earth will be like. To achieve the goal, gazillions of terabytes of data are continuously fed to the processing system: anything that is related to mankind’s history and advancement. This includes everything in all fields of science and arts alike, which means that data gathered range as far as the theory of evolution to artistic explorations to scientific explanation as to why people pick their noses. Apart from actual scientific discoveries and facts, the team is also careful enough to take into account unproven theories and phenomena. Speculative fiction, conspiracy theories and alternate histories make a big portion of those data fed into the machine’s system. Every time the simulation is run, adjustments are made and the survival rate of the next generation of mankind in the new home planet keeps increasing. After countless hours of patience, disheartening failures and Eureka moments, Blue Charlie finally nods in approval as it shows a survival rate of 99.6 percent for mankind to migrate safely to Planet Exo Centauri, 3.47 lightyears away from this planet we are currently living in. He beams at the audience, all hopeful and eager and thrilled. “From the very beginning of our history, our ancestors have looked up to the night sky in the darkest hours and wondered partially in awe, mostly curiosity. A curiosity that prompts us, unique beings with thinking minds, to probe the improbable and to seek after the impossible. What kind of world exists out there? Are we really alone here? What actually lies behind those layers of darkness? And the most important question, can somewhere out there be our next habitat? Today, my friends, the time has come for us. The time to start a new chapter on our journey. We share a common urgency, common understanding about how this world as we know it has ceased to be a home. It is no longer a loving place, it is no longer a place where we can raise our children safely and let them choose their own paths. This world has become a place so cold, so intimidating that sadly we have no options except to leave. 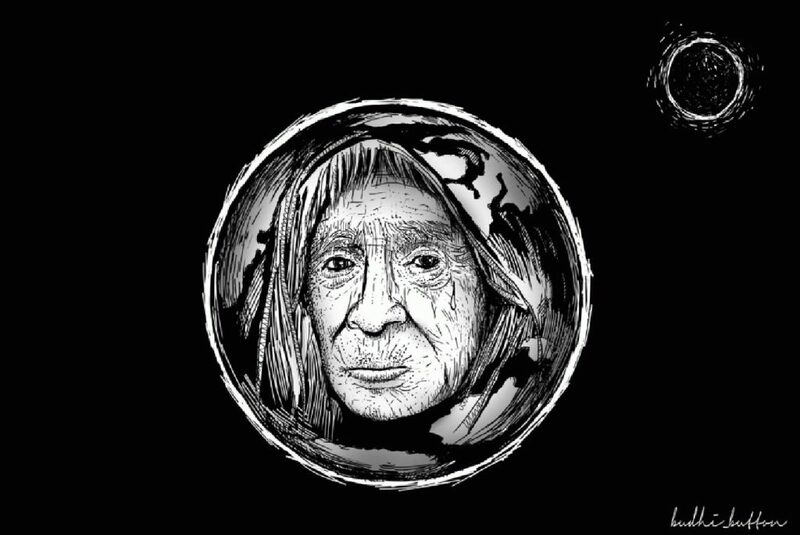 The Earth is and will always be our first and beloved home. We will forever miss you and we hope that one day we can come back and restore your heyday’s glory. The audience breaks into waves of applause and the man in tuxedo leaves the podium, giving way to a robot sliding to the center of the stage. “Thank you, thank you, ladies and gentlemen. I will make this short as possible, because time is a limitation we need to respect. My name is Blue Charlie, the latest product of the Colors of Charlie, a project first started in 2018, over a century ago, and continuously updated from generation to generation in what will become one of the most important scientific relay races in history. About two months ago, after countless simulations, we finally get to simulate a transportation system and a world with 99.6 percent of survival rate that permits us, or you, in that case, to reach Planet Exo safely and remain there as its first generation of inhabitants. Everything is already taken care of, both in the space-craft and in your new home. The planet has everything you need to survive: living stocks and fertile lands, good weathers to go fishing for a trout or two, places to explore, knowledge to cultivate, generations to rear, and political issues to debate on. Blue Charlie switches on the simulations of what the place will be, and the audience lets out big oohs and aahs in admiration upon immersing themselves in the enjoyable virtual scenes. Both the trip and the new home look like heaven to them. “The Great Exodus will be broken down into three separate trips. Each trip will take 10 million individuals and each trip will take around 10 to 15 years to reach the other planet. Don’t worry, we’ll keep you entertained while on board and no, the space-craft will not get overloaded. Dr. Pirosman here will talk more on this later in the next session. After 75 years Earth’s time, however, we can’t take another batch again because, well, there are always limitations. Considering the useful life of the space-craft, the cost, and the fact that three batches are the greatest number possible calculated in the 99.6 percent survival rate’s package. As much as we promise that we’ll try to fit as many passengers as possible and as just as we can regarding qualified candidates, you have to understand that we can only take a certain number of individuals in different clusters that make this 99.6 percent possible. That means, unfortunately, some people will be left behind: the ones who stay. An uneasy wave of applause ripples across the audience, before Blue Charlie talks again. “You will find out whether you are among the chosen ones starting next Monday until Nov. 28. Since the first batch is scheduled to leave by the end of next year, we will focus on identifying the individuals who make the first batch. Those who don’t get chosen, don’t lose hope. There are still two more batches to go. One more thing to clarify, individuals are not chosen merely because of their social status or net worth, although of course there are some spots reserved already for those honored. But mostly the factors taken into account are genetic structures, inherent talents, skills, physiques, to say among the many. Sadly, that means not all of us who are here today will join the new world out there. That will be all for now. The next session will continue after dinner. As soon as the speech ends, Blue Charlie rolls back in, leaving a thick silence to grow in the audience. They stir with uneasiness, before breaking into a confusing mix of enthusiastic and reluctant claps. Behind the eyes of every present man in the room, is a hope nearly defiant, each one with their own dreams and expectations of what may await in their future, and a gnawing unease that will later sprout uncontrollably into ugly feelings. Their feelings are obviously betrayed by their standing ovations and their wide, big smiles on their faces as they hug each other in a congratulatory gesture of “another big leap in the mankind’s history”. From that day on, the last chapter of Planet Earth is a messy confusion of anxiety, chaos, and seething jealousy. So begins the bloodiest period in the history of mankind. Feliciana Elita is an Indonesian writer. Her story has previously appeared in The Jakarta Post. For updating archieves of Short Stories in Klipingsastra, Please be so kind input your email and your name below, then submit! 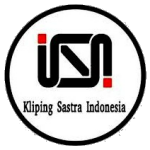 Thank you for visiting klipingsastra.com, the site which is presented as part of capturing literary by filing/archiving work, as a step against forgetting.